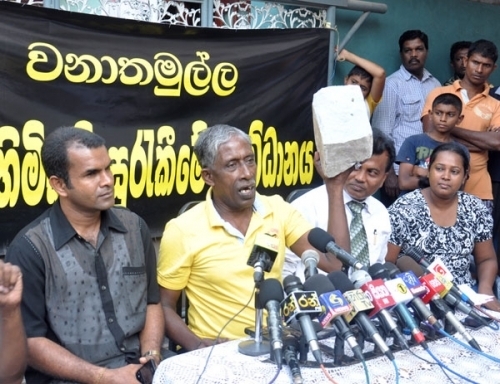 It was the guy who mobilized people to protest against the allocation of sub-standard houses for those who were evicted from shanties in Colombo. Sunil Samaradeera alias Wanatamulle Sunil took the initiative to fight against a powerful regime – especially against a powerful official at the Defence and Urban Development Ministry – on an issue of concern of his own community. But he was ‘abducted’ and went missing – the message went to Geneva within minutes when the sessions were on. “Wanathe Sunil became a world famous name within minutes. And I think he was ‘released’ within hours mainly due to the fact that he became a talking point in Geneva,” said Dr Prathiba. That was the nature of democracy we were experiencing for the past ten years. No dissent was tolerated and fighting for rights was a crime – or was a totally unpatriotic act. As far as I can remember the only fight that sustained to some extent without a major hindrance was the protest by the university teachers that predominantly demanded six percent allocation for education. But it ended with no results, apart from the fact that it became an eye-opener for those concerns that culminated results several years later, at least at this year’s budget. But in contrast, today we see a wave of trade union actions and protests that are being taking place in several sectors of the society. What does it mean? Trade union actions or protesting for rights is a sign of a healthy democracy. Responses such as tolerating them, providing them with necessary space, listening to them are cardinal components of good governance. But both sides – the protestors and the government – have their own limitations. Look at what happened during the HNDA students protest. The brutal response was a mere continuation of the policies of the previous regime, as publicly claimed. Neither the protesting students nor the police could exceed their own limitations when exercising democratic rights. The railway protest last week led to raise many concerns. The first was the violent act by the passengers of the Rambukkana train who attacked a sick engine driver who could not move the train. They assumed that he was drunk. What was the ultimate result? An island wide train strike. At whose fault? To my mind it was the responsibility of the railway department. Who assigned a sick train driver for the job? Who monitored the train that was not moving for a long time? Did anybody took any serious effort to look into this matter? The most interesting part that was reported in the media was the act of another engine driver who decided to join the ongoing strike action by his colleagues. He was driving the Badulla – Colombo bound train and at Gampola station he was informed about the strike. 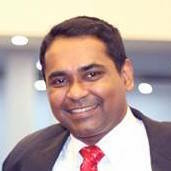 If the media reports are correct, he decided to join his protesting colleagues, disembarked the passengers informing them about the issue with the help of police and then moved the empty train to Colombo, just after an hour as the strike was called off. What a joke…! One pertinent issue that comes up with these trade union actions is morality or ethics. Do these protesting sectors follow basic ethics and their basic moral values? Especially in the fields like medicine, this could be an argument of immense public interest. If one seriously analyze the ongoing trade union actions, who are in the forefront? The professionals and administrative executives of the state sector. They include doctors, engineers and other executive levels of the public service. What is the main issue? Cancellation of their privileges such as vehicle permits by the budget. Salary anomalies, EPF and ETF are added to that. Cancellation of vehicle permits was a blanket policy decision for every segment that included even MPs. But the government made a chaos out of this issue with its reversal of the decision with regard to Parliamentarians. Thus, it provided a valid and justifiable argument and a better stand for a struggle by these professional bodies for their portion of the privileges as well. The government would have maintained its blanket policy stand at least for an year, mainly with regard to MPs. On the other hand, of course, trade unions and such gatherings are to protect the rights of the profession and its practitioners – but what about its recipients? For an example, should the poor helpless sick patient in this country should suffer (or even die) merely due to the fact that his or her doctor is not getting a duty free car this year? What about the rights of this poor patient? Have we ever seen the doctors getting on to the streets demanding better medical conditions for their patients? Have they ever protested against the lack of medicine at hospitals or did they enjoy it by writing prescriptions to the nearby pharmacy that brings direct benefits for them? However, this government should expect more such trade union activities in near future due to many reasons. The working class would feel comfortable to getting into the street for their demands as compared to the previous regime. That would certainly be another litmus test for the Yahapalana government as well, mainly on how they would handle this wave of strikes and protests. Generally the UNP had a black mark some 35 years ago when it brutally responded to the 1980 July strikes. But now the world is different. Socio-political and market trends are different. Mainly its leadership is different. Thus, the perceptions, too. The Professionals resorted to strike for the withdrawal of their “Hard Won” rights such as the duty free car permits. In the railway sector the commuters took the law into their hands and decided what to do to restore their right to transport facility. The University students protested to secure their right to the recognition of qualification – a Diploma to a Degree. Another will be in the offing for the loss of Pension Rights for the new entrants to the Government Services. Another will be looming for not adding the Rs.10,000.00 to the salaries of Public Employees. This will spread to the Agriculture Sector including Rubber and Tea. Yet another will be coming when the people find it difficult to make ends meet, and so on and on…. We forgot to add one more very important category to the above “Frustrated Lot” who, when “PROTESTS” and “STRIKES” are staged would be a very WELCOME and LONG AWAITED “BLESSING”. That BLESSING would come, when all the payments to the Parliamentarians, including salaries and all and other perquisites are withdrawn and make the SERVICE as a Parliamentarian an HONOURABLE SERVICE TO THE PUBLIC. I am certain, perhaps excluding the JVP MPs, (who incidentally had proposed this move) all others would strike and refuse to attend the proceedings. Then we will have a great OPPORTUNITY to consider them to have ABANDONED the positions and consider them to have VACATED on their own accord. I am also certain that the ex President who now receives “DOUBLE” payments as the Past President and a sitting MP will take the LEAD in organizing that PROTEST and STRIKE. Now the people, including the Professionals and other organizations led by Late Rev. Sobitha who brought this Government into being, must demand the above mentioned proposal to be implemented immediately, so that once and for all we can CLEAN THE STABLE and send out all those 200 plus vagabonds out of our sight. I suggest to all those protesting, striking and those contemplating trade union action, of both the Government and Private Sectors; Professionals and People who want to take to streets to make THAT DEMAND and save all that money paid to those 200 plus MPs for the welfare of the country and the people. Isn’t that a NOBLE CAUSE to FIGHT and ACHIEVE? I feel it is worth the effort. Scholars, political scientists and politicians need to develop a rational understanding of what good governance can deliver—and what it cannot. They must also accept more realistic expectations about how much good governance can be expected in poor countries struggling with a plethora of demands on their capacities to pursue change. If public life were conducted within institutions that were fair, judicious, transparent, accountable, participatory, responsive, well-managed, and efficient, then Good Governance is a good idea and citizens of fast developing country like Srilanka would be more fortunate. Out of the 20 plus millions of people and majority of them who live in conditions of public insecurity and instability, corruption, abuse of law, public service failure, poverty, and inequality, good governance is perhaps a mighty beacon of hope ought to be. Ho ho ho, the Lion of Wanathamulle! Wanathe Sunil was the one who put a knot in Gota’s voula, no. He is a legend. Yes, government officers in the upper echelons will squeal like Negombo pigs about the loss of their duty free car permits, but if they get too cocky……..the GoSL is still committed to keeping law and order by any means. Know what I mean? Nudge, nudge! Wink, wink! Ah, the good doctor seems to be taking a corner – is he really questioning the perfect government in his own words? Should he not now stop ending all sentences with a question mark but state what he thinks is correct? Surly he cannot fear retaliation or repercussions in this prefect democracy. When will our journalists stop hiding behind innuendo and start calling a spade, a spade? We await but those such as Ranga, the super journalist, if you will, need to either face up or just surrender as many of his colleagues have done. Talk facts, names and specific instances, if you dare. Government has decided to backtrack on the duty free car issue, obviously because of the fear of displeasing the much needed upper segments of the bureaucracy. But if it is a must what the government should have done was to introduce a condition that duty free facility will be given only for those vehicles which use electricity and not carbon fuel.